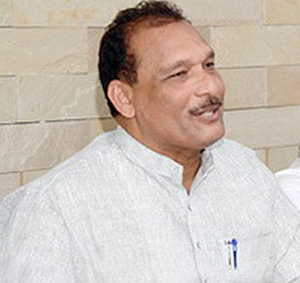 Mangaluru, May 21, 2015: Briefing media at his office in the city, MLC Ivan D’Souza said that the State government had solved the problem of form 9/11 and now Gram Panchayats had no limitation to issue form 9/11AB in Dakshina Kannada, Udupi and Uttara Kannada districts. Earlier, Gram Panchayat PDOs had the right to issue the forms only if the property is below one acre. He stated that the government had issued a circular in this regard on May 8. However, to form layouts and trade in sites, people should follow the old rules. The problem which was created by officials and court order has been resolved by the Rural development and panchayat raj department, he said. The MLC said BJP leaders are misleading people that electricity bills of ESCOM are paid using the fund of the central government. In fact, 60 per cent of the electricity bills are paid using the State government fund and 25 per cent is being paid using the fund released by the central government under 13th Finance Commission and common maintenance fund. Separate ESCROW accounts have been opened for such fund, he said. MLC D’Souza said government could not issue licenses for houses in GP limits because a petition was in court as there was no clear guideline to issue license. Now, the government has cleared the confusion with a notification with clear rules, he said. The MLC alleged that BJP leaders want to win the election by misleading people. Though they were in power for eight year they could not empower Gram Panchayats. Congress has implemented Panchayat Raj Act, where a person can serve for two tenures. There is no scope to move no confidence motion against an elected representative up to 30 months. Reservation for women has been increased to 50 per cent. The honorarium has also been doubled, he said. The MLC said Prime Minister Narendra Modi is always on foreign tours when there are problems galore in his own country. In one year he has traveled 16 countries, so NRI status could be given to Narendra Modi. Meanwhile, he said that Congress supported candidates will fight in all 3399 seats of 227 GPs of the district. Till now 55 observers have been appointed to all Assembly constituencies and observers will be appointed at ZP-level too. Mayor Jacinta Vijay Alfred and others were present.